3 April – 19 May 2019. 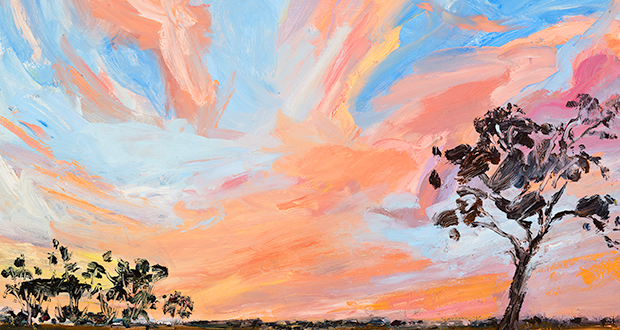 Mallee Sky is an exhibition of illustrations by fine artist, Tannya Harricks for the children’s picture book Mallee Sky – written by Jodi Toering and published by Black Dog books (an imprint of Walker Books Australia). This exhibition aims to unveil the processes in the illustrator’s journey, from word to picture to final publication. It includes the artists draft sketches alongside the finished illustrations which are oil on cotton rag paper. Tannya will be holding workshops for both adults and children. Keep in touch via Facebook as details become available.